I recently had a wonderful salad of paper thin radishes with pumpkin seed oil and toasted pumpkin seeds at Gruener in Portland, Oregon. This was a great salad and I repeated it at home, but not quite as well as at Gruener's (my version is still a work in progress). 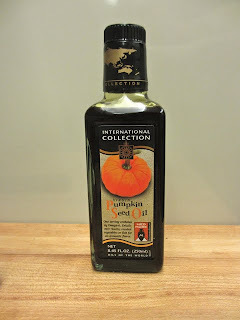 The great discovery was the pumpkin seed oil. It is a bit like a cross between hazelnut oil and toasted sesame oil, pungent and fragrant. 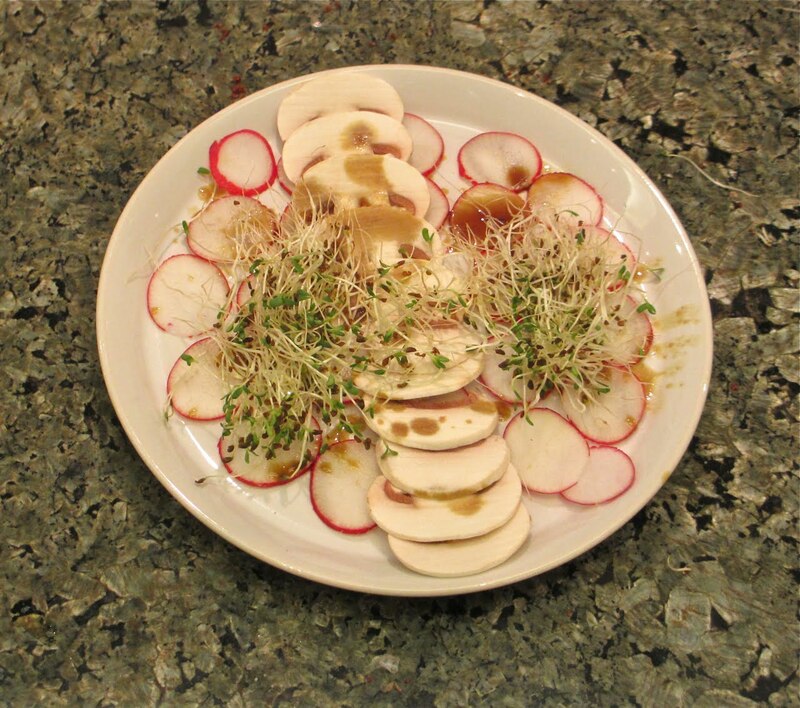 Like those oils, a little goes a long way, but with care it can make a great salad dressing. Just mix with a little vinegar (3 parts red wine and 1 part or less balsamic) and dress the greens lightly. Especially good on arugula with shavings of parmesan on top. Here's one I made with thinly shaved mushrooms and alfalfa sprout instead of arugula. I'm sure there are many other uses for this delightfully aromatic oil; it would be a lovely finishing oil atop green beans, snap peas and many other vegetables, as well as over simply grilled fish filets. Pumpkin seed oil is supposed to be healthful as well, but I don't have enough evidence to tout this as a benefit.